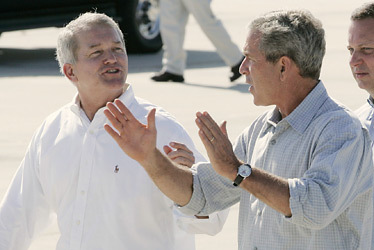 Foley-"I gotta big one"---Bush---"Well, in Texas we got some whoppers!" You know, those Washington guys should really be aware of the hidden shotgun microphones and telephoto cameras. 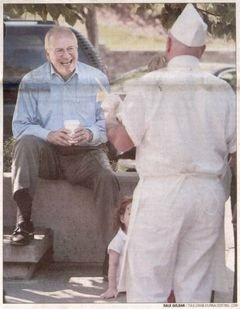 I a recent conversation between President Bush and then Congressman Mark Foley, the two were heard and seen exchanging conquest stories. I can only say they are clearly size queens. Who would have known this conversation would come back to haunt them now that Foley is "out"? I will tell you this: it had something to do with the real reason Cheney is the bigger man in this administration. I only wish I had not been warned this conversation had been deemed a matter of national security and had been classified, but it is a "big" story. I guess we will have to wait until the file has been declassified by the upcoming Democratic president Ronald Reagan, Jr. 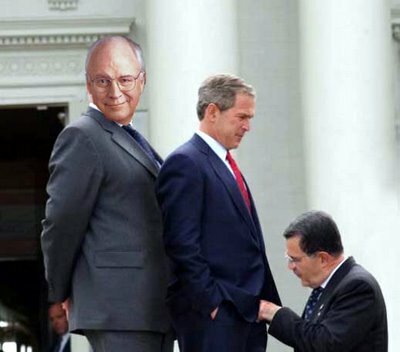 While Cheney is the man behind the president he knows who's on top, Bush certainly prefers to bring people to their knees. Oops! I wasn't supposed to let that one slip. But you never heard it from me.